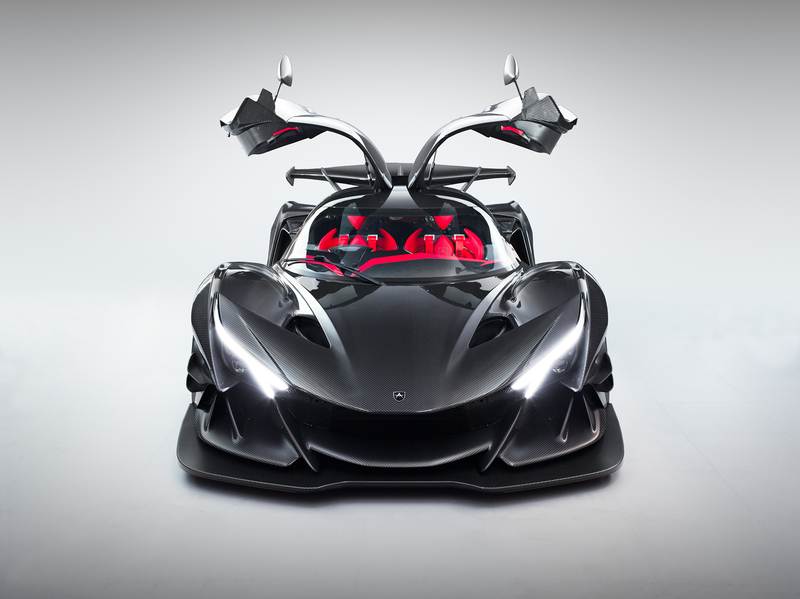 It takes a lot to out-hypercar the current crop of hypercars but recently formed German company Apollo, which rises from the ashes of the now defunct Gumpert brand, is giving the whole nutty supercar game a very good thrashing with the radical Apollo Intensa Emozione. 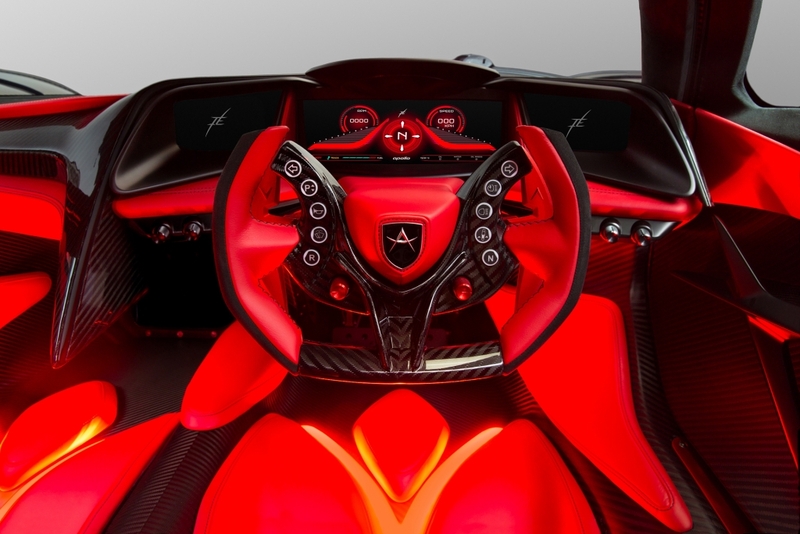 The upcoming machine, which is likely singeing your retinas right now, is Apollo’s gift to humanity: a €2.3million weapon that boasts a naturally aspirated and mid-mounted 6.3-litre V12 engine, enough downforce to drive upside-down and more hand-crafted carbon fibre than an entire Pinarello bicycle factory. 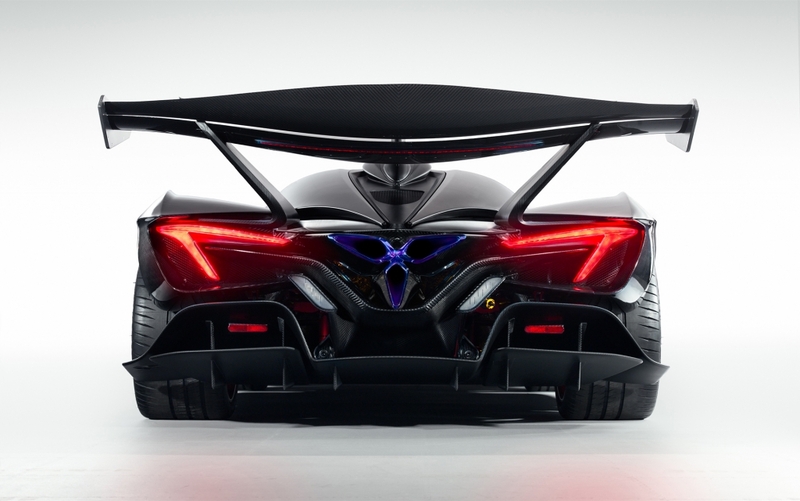 Apollo is keen to emphasise that this is a true ‘old school’ track car, so there are no turbochargers or hybrid systems to blunt the driving experience on the Intensa Emozione, just a minimalist racing cockpit and a rear wing that would embarrass anything that rolls off a Boeing production line. Total weight is a measly 1,205kg, power from the V12 is a mighty 780hp and max engine torque is 760Nm at 6,000rpm. Naturally, performance errs on the side of blistering, with a claimed 0-62mph sprint time of just 2.7 seconds, a top speed of 208mph and a ludicrous 2G max lateral G-force figure. There is also plenty of theatre inside, with a quick release racing style steering wheel (it’s dripping with carbon fibre), a huge 12-inch main display that takes care of most functionality and an “Inzio” start lever that is pulled to fire up the fury. Oh, and you can adjust the ambient lighting with a separate five-inch display should you so wish. 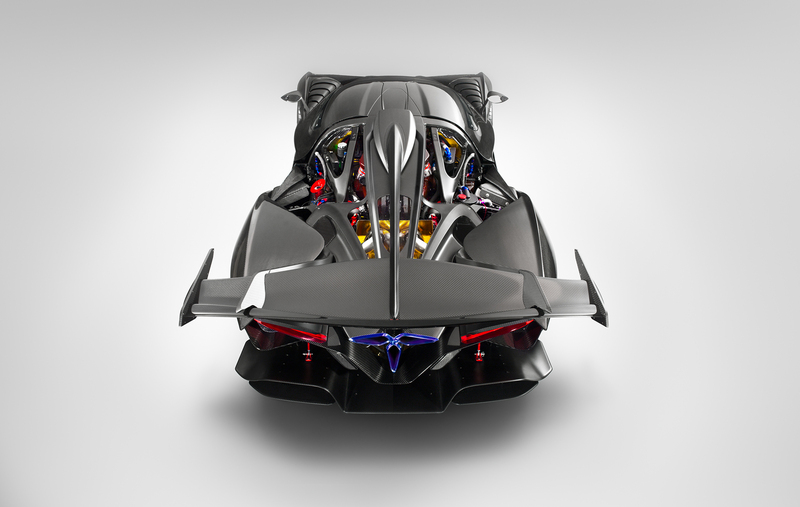 It takes quite a lot to shock us here at Flat-Out but the Apollo Intensa Emozione is simply mind-boggling to behold. There are a staggering 12 traction control settings to choose from, three separate engine mapping modes and adjustable aerodynamic foils for additional downforce. Only ten models will be produced, with the first cars hitting the tarmac some time in 2019. Interested in being one of the lucky 10? Visit the website for more.